Soooo. . .how was your holiday? Mine was pretty darn okay. My sweet husband added to my craft room comfort by getting me a new work chair. It's a good height for my craft desk. No more backless bar stools for me!! I've only gotten minimal usage out of it with the busy holidays visiting family and such, but I did get to use it to package up some orders the other day. With a few adjustments to the back, I think it'll be PERFECT!! Yay! 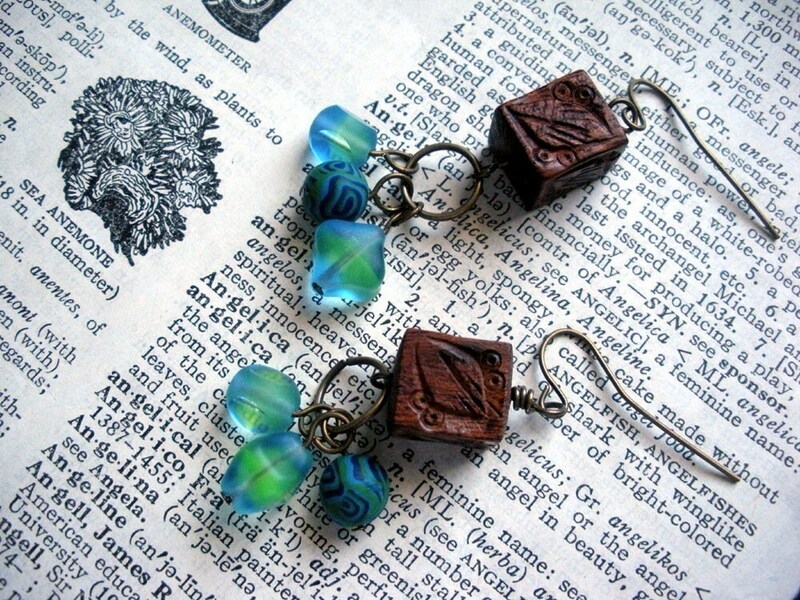 I did add a new item to the shop today. 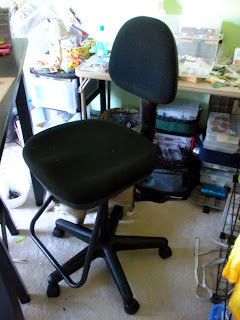 Hopefully the new chair will get used plenty this week as I bust out my crafty skills and some more jewelry now that the holiday rush is over. I'm also hoping to get back into a regular eating routine and even made out our menu late last week. So, I'm here to share it with you. 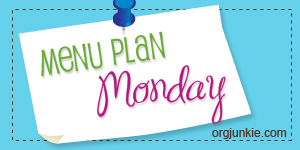 Don't forget to visit I'm an Organizing Junkie for more Menu Plan Monday yumminess!! Let me admit that all of the recipes I have links for have not been tried personally. It's a week of experimenting for me! I've got all these lists of recipes, so I'm going to start trying them out. I'll let you know. The pork loin's in the oven now. . .
And now, after making that list. . . I'm STARVING. I'll spare you from the links today as I'm off to start on the rest of the meal. Greetings! You just won the giveaway on my blog! Be sure to email me your contact info and I'll drop your prize in the post. Congratulations! Hope you had lovely holidays! They sound lovely, and delicious, too. ;) A comfortable chair means everything in the world to a crafter!